Then watch METZ on Pitchfork Live this coming Thursday, October 5th at 12 noon EST/9am PST. Toronto-based noise punk trio METZ have created a short film entitled Making Strange Peace, which captures the band during the recording process of their new album with engineer Steve Albini at Electrical Audio in Chicago. 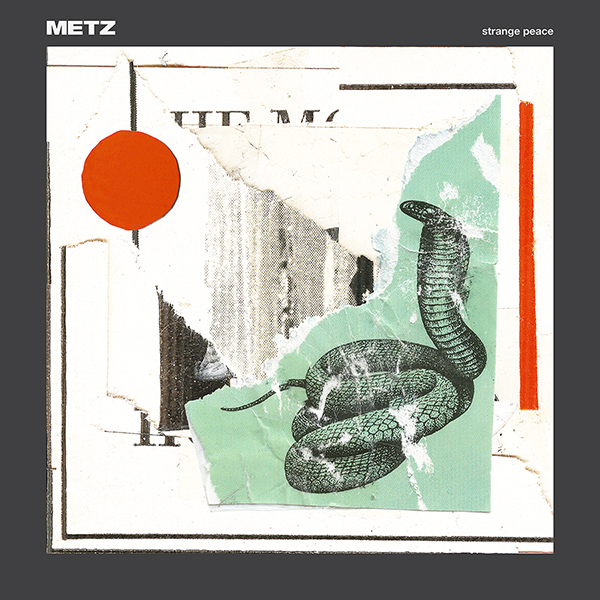 METZ’s international tour schedule in support of Strange Peace is underway, with a show tonight, October 4th in Brooklyn at Music Hall of Williamsburg. The tour currently runs through December 16th in Houston at Warehouse Live. 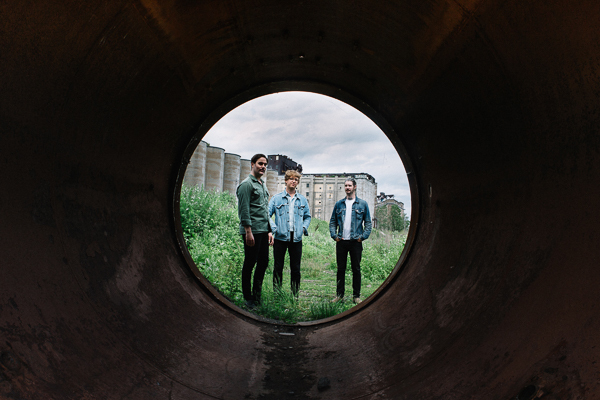 During that run, METZ will serve as direct support for Modest Mouse on October 10th and 11th. Additionally, METZ will play shows with Uniform (October 2nd-8th), Protomartyr (November 2nd-8th), Brian Case (November 9th), Drahla (November 12th-24th), newly-signed labelmates Moaning (December 7th-16th), and Cherubs (December 15th). All of their current tour dates follow. Nov. 02 - Prague, Czech Republic - Futurum ! Nov. 03 - Wroclaw, Poland - Klub Firlej ! Nov. 04 - Warsaw, Poland - Klub Hydrozagadka ! Nov. 06 - Berlin, Germany - Bi Nuu ! Nov. 07 - Copenhagen, Denmark - Loppen ! Nov. 08 - Hamburg, Germany - Knust ! Strange Peace is available now from Sub Pop (worldwide) right here. Canadian fans can purchase the new record from Royal Mountain Records here. Meanwhile, Sub Pop’s limited Loser Edition on clear vinyl with red and green swirls, can be purchased from the band at upcoming tour dates or at select independent retailers in the U.S.(while supplies last).